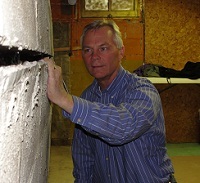 Basement Specialists had been servicing the Glendale, WI area for over 39 years. Besides the Glendale area, we service customers in the greater Milwaukee metro area, including the counties of: Milwaukee, Waukesha, Washington and Ozaukee. We are well known in the Glendale area for our attention to detail, customer satisfaction, reasonable price, and high standards. Contact us today for more information. We provide the best service in the industry. We will work with you, our customer, to determine what steps need to be taken to repair or reinforce the structure. Sealing Walls or Fixing Drain Tiles. What You Can Do To Correct A Minor Problem. Two of our recommended Independent Inspectors. If you live in Milwaukee County and do not see your area listed, then please give us a call. Some service area zip codes for Glendale, WI are: 53209, 53211, 53212, 53217.